For our society to be successful, SPE needs the wisdom of our most experienced members. Senior Professionals (members age 55 and older) have a wealth of wisdom gained through experience. SPE offers ways for you to continue to engage and share your skills with other generations of industry professionals. Join the League of Volunteers and complete your volunteer profile. Attend a local section meeting to network with other Senior Professionals. Nominate fellow professionals for the Distinguished Lecturer program. and present at a local school. 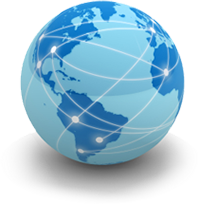 SPE Connect 🗗 is your virtual destination to communicate with Senior Professionals worldwide. Read SPE's flagship magazine, Journal of Petroleum Technology®. Browse OnePetro 🗗 —a unique library of technical documents serving the E&P industry. Take yourself to greater depths right from your desk with SPE Online Education 🗗 . 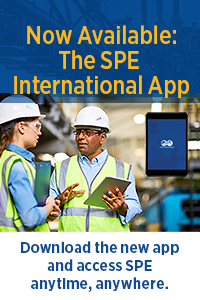 Attend an SPE event to stay abreast of current technologies and to network with colleagues. Access a variety of insurance plans 🗗 for purchase through the SPE Group Insurance Program. Show your professional affiliation through the use of the SPE member logo for business cards, golf shirts, etc. As a Senior Professional, you may qualify for special membership designations based on your years of continuous membership. After 30 years of continuous membership with SPE and at the age of 65, a member is automatically upgraded to Senior Member. Senior Members receive a 50-percent reduction on membership fees. A 30-year member who is retired at age 60 may submit a written request to SPE Customer Service for Senior Member status. After 50 years of continuous membership in SPE, a member is automatically inducted into the Legion of Honor. Members in the Legion of Honor are exempt from dues. They also receive a commemorative plaque and lapel pin in honor of their achievement, free registration for all SPE Annual Technical Conference and Exhibitions, and recognition in the Journal of Petroleum Technology®.